Select the Chrome menu at the top-right of your browser window, then select Tools > Developer Tools. Right-click on any page element and select Inspect Element. The DevTools window will open at the bottom of your Chrome browser. Use Ctrl+Shift+I (or Cmd+Opt+I on Mac) to open the DevTools. Use Ctrl+Shift+J (or Cmd+Opt+J on Mac) to open the DevTools and bring focus to the Console. Use Ctrl+Shift+C (or Cmd+Shift+C on Mac) to open the DevTools in Inspect Element mode, or toggle Inspect Element mode if the DevTools are already open. For your day-to-day workflow, learning the shortcuts will save you time. The DevTools are organised into task-oriented groups in the toolbar at the top of the window. Each toolbar item and corresponding panel let you work with a specific type of page or app information, including DOM elements, resources, and sources. The colorpicker available in the DevTools..
You can use the Ctrl+[ and Ctrl+] shortcuts to move between panels. The Elements panel lets you see everything in one DOM tree, and allows inspection and on-the-fly editing of DOM elements. You will often visit the Elements tabs when you need to identify the HTML snippet for some aspect of the page. For example, you may be curious if an image has an HTML id attribute and what the value is. Viewing a heading element in the DOM. Log diagnostic information in the development process. A shell prompt which can be used to interact with the document and DevTools. You may log diagnostic information using methods provided by the Console API. Such as console.log() or console.profile(). You can evaluate expressions directly in the console and use the methods provided by the Command Line API. These include $() command for selecting elements or profile() to start the CPU profiler. Evaluating some commands in the JS Console. A conditonal breakpoint which logs to the console. The Network panel provides insights into resources that are requested and downloaded over the network in real time. Identifying and addressing those requests taking longer than expected is an essential step in optimizing your page. The context menu for network requests. The Audit panel can analyze a page as it loads. Then provides suggestions and optimizations for decreasing page load time and increase perceived (and real) responsiveness. For further insight, we recommend using PageSpeed Insights. The recommendations of an audit. An example timeline with various events. The Resources panel lets you inspect resources that are loaded in the inspected page. It lets you interact with HTML5 Database, Local Storage, Cookies, AppCache, etc. 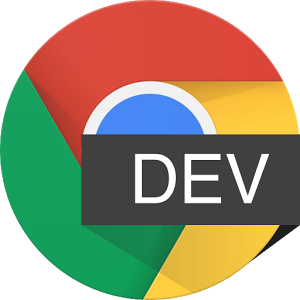 You can also follow us on @ChromiumDev or ask a question using the forums. Styled output in the console. To submit a bug or a feature request on DevTools, please use issue tracker at http://crbug.com. Please also mention "DevTools" in the bug summary. crbug.com's bug report category selector. Anyone can also help make the DevTools better by directly contributing back to the source. Looking to use the DevTools to debug Chrome extensions? Watch Developing and Debugging extensions. A Debugging tutorial is also available.